Don't get too excited, guys. It was a mistake. Microsoft isn't shy of a backtrack these days, but reports claiming a u-turn over whether to include a headset in the Xbox One console bundle appear to be wide of the mark. 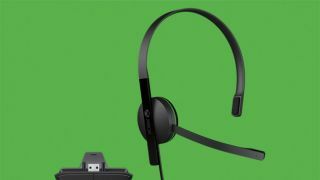 According to reports on Wednesday, the company had reversed its decision to only sell the wired Chat Headset peripheral as a standalone accessory and would chuck it in for free with the console. However, Microsoft's official UK Xbox distributer Gem has now admitted to Eurogamer that it included the headset by mistake in a product listing in this week's MCV magazine. Microsoft is yet to officially comment, but this time it appears the company isn't bowing to the grunts and grumbles of Xbox fans, ignoring the opportunity to boost the value of the console. The relative storm in a teacup follows last month's now-infamous 'Xbox 180,' when the company announced it would not require users of the console to check in online once a day. They also made the console region free for the first time and promised not to impose any restrictions on used games. Indeed, in the last few weeks, Microsoft has shown it'll do practically anything to get back in the good graces of gamers ahead of this winter's next-gen console war. Our advice would be to keep shouting loudly, you may just get what you want. Have you decided which next-gen console is for you? Check out our Sony PS4 vs Xbox One round-up.